You are cordially invited to join AIA Conference on Architecture 2019 June 6-8, Las Vegas, Nevada. 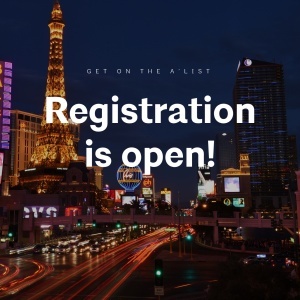 The theme this year is Blueprint for a Better Future, with a focus on cities like Las Vegas as incubators for transformation and leading trends. Beyond its excess, extremes, and appetite for the ersatz, Las Vegas is a global pioneer in design. Its ever-changing landscape is a ‘test tube’ for the kind of transformation that influences architecture and design trends the world over, not just the casinos and nightlife, but the hospitals, schools, community centers, parks, apartment buildings, and art installations that are part of people’s everyday lives. This work is a testimony to how architects are designing a better future by taking on the critical challenges facing cities—and our world—today. The A’19 program will include sessions on artificial intelligence, data visualization, 3D concrete printing, Amazon Spheres, tall wood, nano-grid condos, immigrant architects, overcoming homelessness, the latest in WELL design, the energy-hog myth, designing border crossings and ports of entry, zero net energy affordable housing, new codes and standards, and architecture tours of local standouts like Frank Gehry’s Lou Ruvo Brain Center, Seven Magic Mountains, and the Downtown Container Park.